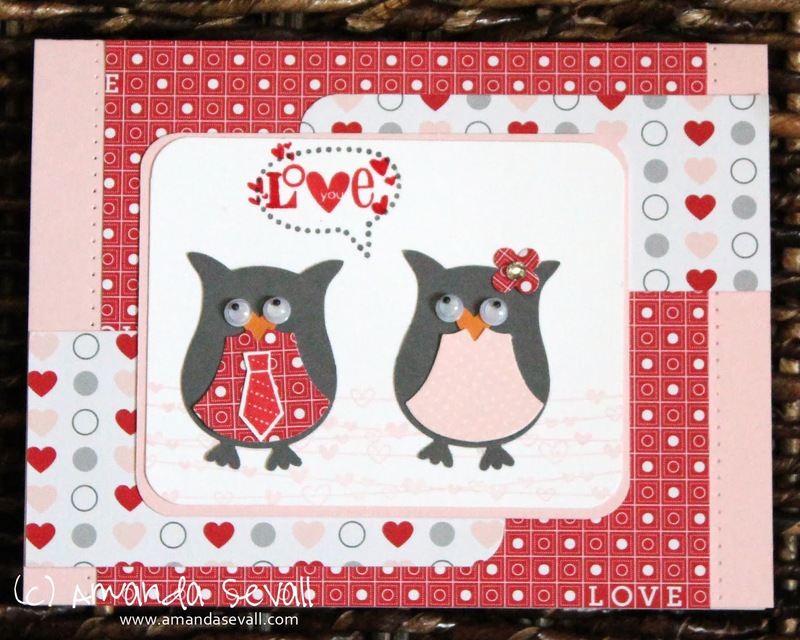 On my Nook, I subscribe to Card Maker magazine and the last issue that I read had this card sketch in it that I loved. I added a fun little tie to one owl and a cute flower bow to the other. Love how this one turned out! Have you figured out your Valentine's Day plans yet? Adorable! My favorite part by far is his tie.